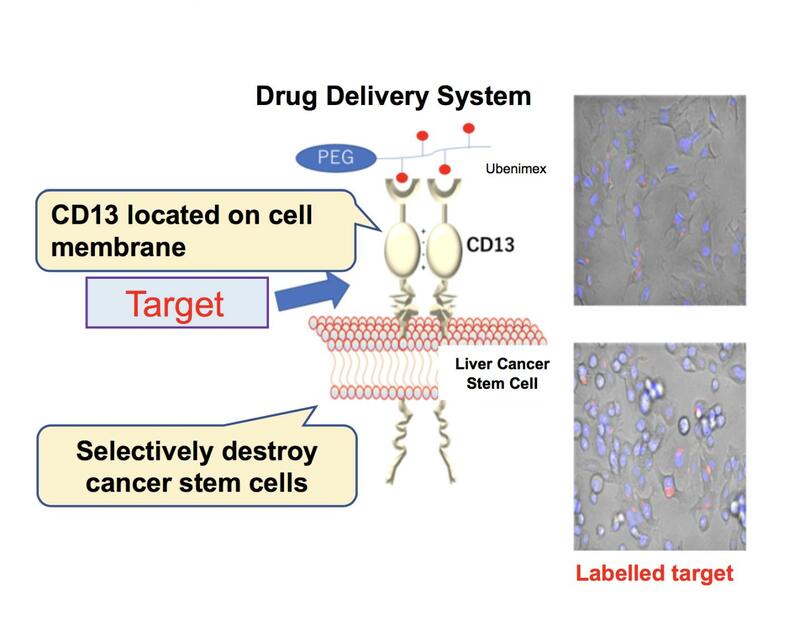 The researchers created a drug delivery system (DDS) using a poly(ethylene glycol)-poly(lysine) block copolymer-ubenimex conjugate (PEG-b-PLys(Ube)). The use of this DDS has enabled an increase in the concentration of ubenimex in target CSCs. In addition, combined use of standard anticancer drugs significantly decreased CSCs. (Figure 1) Their research results were published in Oncogene. Lead author Masamitsu Konno says, "First, we developed a DDS to deliver highly concentrated ubenimex and then, another DDS in which 20 ubenimex molecules were bound with poly (ethylene glycol)-poly(lysine) block copolymer conjugates."